In this article, Nickolas Conrad explains the importance of uncovering the previously ignored voices of French freethinkers and ex-clergy in the late nineteenth and early twentieth centuries. This will, Conrad suggests, help to shed light on a critical transitionary period in French history and on some of the wider factors contributing to secularization in France. In early twentieth century France, André Bourrier, a former Catholic priest who converted to Protestantism, claimed that the Catholic Church found itself at the focal point of a seismic religious crisis. Bourrier passionately believed that with the start of his journal Le Chretien francais in 1897 he had exposed what was “an exodus en masse” from the Catholic clergy. He said that the increasing resignation of priests was “the veritable signal within the ranks of the clergy” (p. 46). To Bourrier, breaking with Catholicism had become a notable cultural phenomenon. The French called the clergy who broke from the Church the évadés, “those who escaped.” At the same time, irreligious sentiments had grown to such an extent that militant anticlerical groups formed. Some called themselves freethinkers. A freethinker, usually a man and politically to the left, rejected the authority of institutionalized religion, sought to remove religion from the public sphere, and often thought religion should be buried as an archaic relic of a backward past. The évadés and freethinkers were a visible sign of the growing number of deconversions from Catholicism that contributed to France becoming one of the most secular countries in the West. In studying the religious conflict at this time, French historians have largely neglected the testimonies of the évadés and freethinkers during Third Republic France (1870-1940). The personal accounts of évadés and freethinkers suggest that unbelief grew due to contingent political and religious crises within Catholicism. From the view of those on the ground, France did not experience slow secularization but an energizing shock. Believers wanted to see the Church reconciled with liberalism, modern knowledge, and progressive moral values. The Church’s failure to meet these challenges bolstered its opponents. Historians have noted the irreligious accounts of French philosophers and writers; however, the story of unbelief outside of a small group of intelligentsia remains opaque. Only recently after the publication of Jacqueline Lalouette’s book La Libre-Pensée en France 1848-1940 (1997) has unbelief among the working and middle classes been addressed. She thoroughly documents the role of freethinkers in France that follows the work of Albert Bayet and Pierre Leveque. However, Lalouette, Bayet, and Leveque give a limited analysis of the reasons for the rupture with the Church. Lalouette briefly notes that freethinkers were born into freethought families, revolted intellectually, or morally rejected the idea of God (such as after experiencing the horrors of World War One). Studying deconversion narratives has several challenges. Most significantly, the sources are limited; the testimonies are few and far between, especially for the lower classes. Plus, the personal accounts lack alternative accounts from contemporaries that would verify their claims. Deconversion narratives also have to be taken with skepticism. Historians have been aware of the fictive and artificial nature of narratives that fall within a few literary tropes since the work of Hayden White. Most deconversion testimonies from évadés and freethinkers fit a narrative structure of transformative crisis that resulted in enlightenment and then spiritual rupture. Difficulties aside, the testimonies of the évadés and freethinkers provide perspective on the growth of unbelief in France. Their testimonies bring to light three significant points of crisis: moral dissonance, political conservativism, and doctrinal reform. Catholicism was morally rejected on the account of the problem of evil in the world and perceived moral transgressions. This coincides with the conclusions of Susan Budd, who analyzed freethinkers in nineteenth-century England. She argued that the general break with Christianity among the working class was primarily moral rather than intellectual and that “scientific and theological thinking seems largely irrelevant” (p. 125). There is some consensus on this point. Owen Chadwick (1975) and D.G. Charlton (1963) agree with the emphasis on moral rupture; they claim that moral discord played a primary role for both elites and non-elites during the nineteenth century. Ralph Gibson (1989) similarly argues that French people rejected the unhappy, sterile, self-denying Christian morality preached after the Catholic Reformation. Second, the political, anti-republican conservatism of the Church inspired revolt and resistance. Freethinkers in France differed from those of England because they were deeply involved in a political struggle against the Catholic Church. Secular republicans competed with the Catholics for the souls of the faithful and the minds of the citizens (Rémond 1999). The political contest in France fed the flames of both belief and unbelief as shown in Gugelot’s work La conversion des intellectuels au catholicisme en France 1885-1935 (1998). Since 1880, momentum lay with the republicans who had united socialists, radicals, and moderates around aggressive anticlericalism. By 1905, France had made primary and secondary education free, secular, and compulsory; separated the Church and the State; and closed down numerous religious associations that put thousands of nuns and monks into the streets. The anticlericals triumphed in France. Third, people abandoned Catholicism for being incompatible with contemporary research and science. Rejection of the Bible stood at the heart of unbelief in the nineteenth century. Catholics who sought to reconcile Catholicism with the new rationalist methods were called Modernists. The historian C.J.T. Talar (2012) defined modernism as an engagement about the credibility of revelation and the pillars of the Christian faith. The modernists held that the Bible and Catholic traditions should be interpreted through existing documents and the critical, historical method. They sought to understand Christianity with a modern historic consciousness that relativized divine truth and exposed dogma as human initiative (Talar 2012). In 1907, Pope Pius X condemned them publicly with the encyclical Pascendi due to their heterodoxy and their desire for reform. Studying the deconversion testimonies of the évadés and freethinkers puts their voice back into the historical record. They believed they were living through a great spiritual crisis and transition. The Church could have found a way to embrace change. Instead, the Catholic hierarchy resisted reform, pushing many believers into a tenuous spirituality or unbelief and direct cultural conflict. Nickolas Conrad is a Ph.D. candidate in Modern European History at the University of California, Santa Cruz and is currently in the last stages of his dissertation. 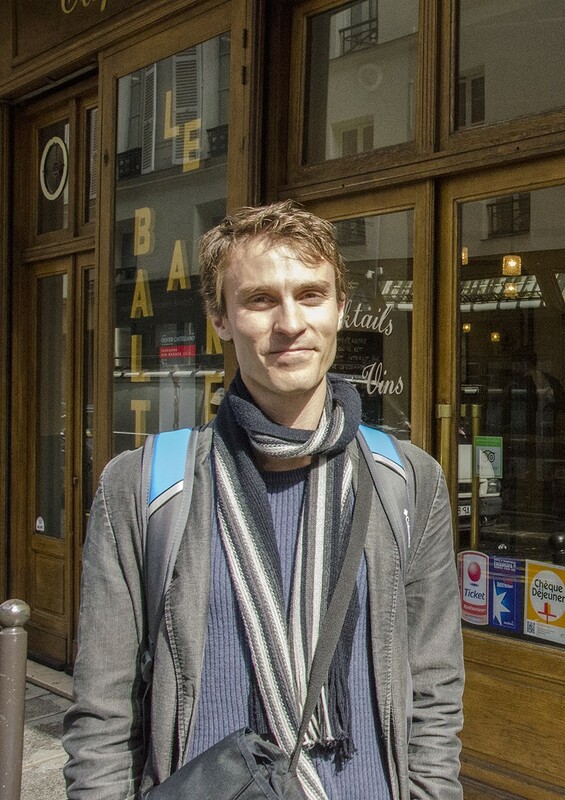 Trained as a French historian and having recently spent two and half years living in Paris, he is interested in the intellectual and cultural history of unbelief in modern France. Bayet, Albert. Histoire de la libre-pensée. Paris: Presses universitaires de France, 1959. Bourrier, André. Ceux qui s’en vont, 1895-1904. Paris: Librairie du Chrétien Franc̦ais, 1905. Budd, Susan. “The Loss of Faith. Reasons for Unbelief among Members of the Secular Movement in England, 1850-1950.” Past & Present, no. 36 (1967): 106–25. Chadwick, Owen. The Secularization of the European Mind in the Nineteenth Century: The Gifford Lectures in the University of Edinburgh for 1973-4. Cambridge [England]; New York: Cambridge University Press, 1975. Charlton, D. G. Secular Religions in France, 1815-1870. London; New York: Published for the University of Hull by the Oxford University Press, 1963. Gibson, Ralph. A Social History of French Catholicism, 1789-1914. London; New York: Routledge, 1989. Gugelot, Frédéric. La conversion des intellectuels au catholicisme en France, 1885-1935. Paris: CNRS Editions, 1998. Lalouette, Jacqueline. La Libre pensée en France: 1848-1940. Paris: Albin Michel, 1997. Lévêque, Pierre. “Libre Pensée et Socialisme (1889-1939) Quelques Points de Repère.” Le Mouvement Social, no. 57 (1966): 101–41. Rémond, René. L’anticléricalisme en France: de 1815 à nos jours. Paris: Fayard, 1999. Streib, Heinz et al. Deconversion: Qualitative and Quantitative Results from Cross-Cultural Research in Germany and the United States of America. Göttingen: Vandenhoeck & Ruprecht, 2009, 218. Turmel, Joseph, and C. J. T Talar. Martyr to the Truth: The Autobiography of Joseph Turmel. Eugene, Or. : Pickwick Publications, 2012. White, Hayden. Tropics of Discourse: Essays in Cultural Criticism. Reprint edition. Baltimore: Johns Hopkins University Press, 1986.